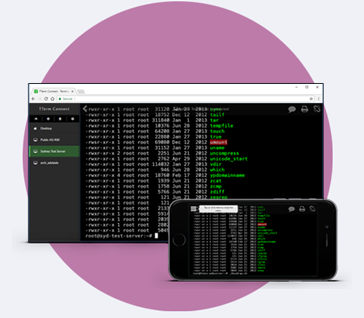 A fully featured, centrally managed, browser based terminal emulator with no client installation required. 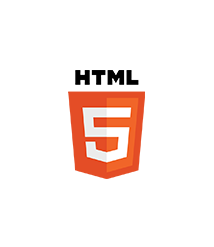 Deploy our multi-session capable web client or embed directly in your website. Manage and monitor real-time and historical user activity from desktop or mobile devices. 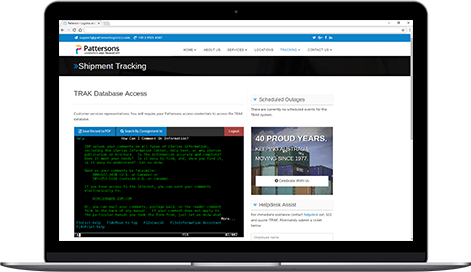 Configure host sessions and user access including LDAP/Active Directory support from the web based administration console. 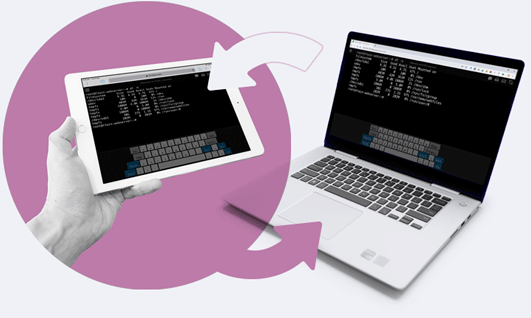 Replace your desktop terminal emulation software with TTerm Connects web based multisession capable client or embed a session directly into your own public or internal website. Extensive Code Page support and Double Byte Character Set (DBCS) encoding. Monitor, track, terminate or perform live technical support on an end user’s host session. All the features of a desktop terminal emulator in a lightweight browser based application. That means central control, no client installation, no plugins or desktop maintenance and compatibility with just about any device. 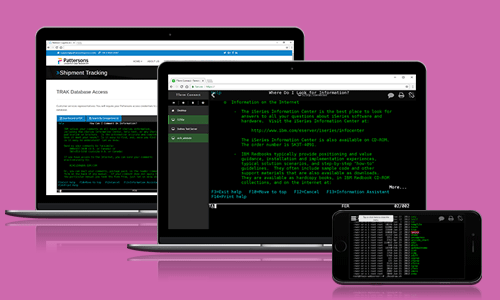 Combined with TTerm Connects comprehensive terminal support, including IBM 3270, 5250, Wyse, Televideo, DEC VT and many, many more this makes TTerm Connect a powerful solution for host connectivity to any host, from any device. See the full list of browsers and terminals supported. Moving from a laptop to a desktop, from a phone to a tablet? No problem - TTerm Connect can transfer host sessions securely and seamlessly between devices whilst maintaining remote connections allowing you to continue working from where you left off. 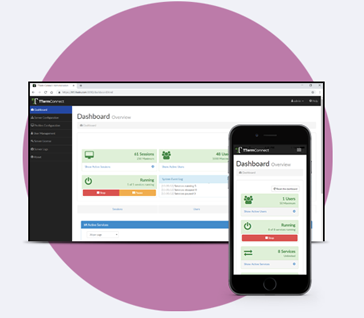 Centralized web based management allows user and group level access control, including LDAP/Active Directory support and gives administrators the power to configure, manage and monitor user activity in real time on desktop and mobile devices. Terminate idle user sessions, view system usage data, manage license usage, deploy configurations and much more. See the full product specifications.